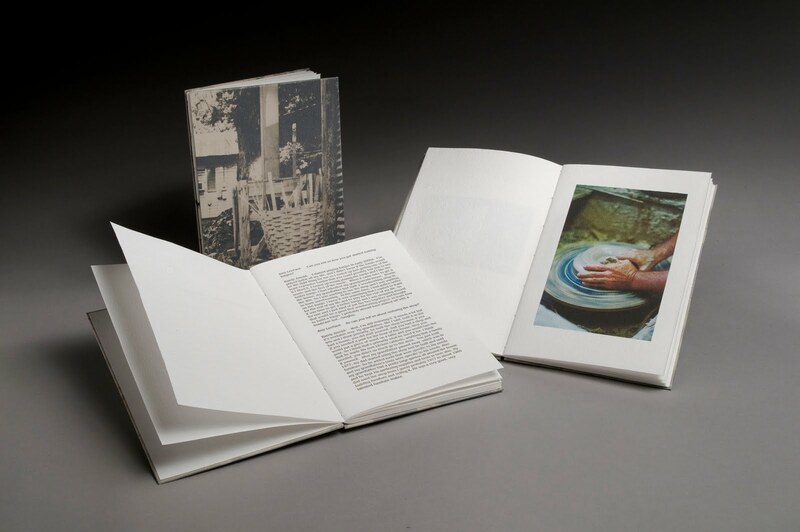 In this two-day workshop, on October 20th & 21st, we will consider the use of photographic images as a storytelling device in the artist book. Through quick writing and visual exercises, we will unravel the stories that images tell. Participants will learn three book structures: the sixteen-page book from a single sheet, the hardcover pamphlet, and the double-leaved accordion. 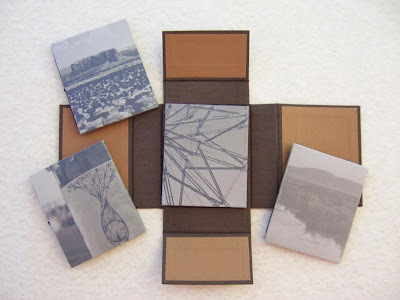 These formats easily accommodate photographic imagery either through direct printing onto folios or incorporating individually printed photographs. Using our surroundings, participants will create their own image narrative artist book. The image narrative has the potential to tell an abstract or explicit story or it can simply imply relationships. These themes will be explored throughout the workshop. We will also discuss digital print technology such as choosing printers, inks, and papers for archival print quality, as well as how to incorporate analog photography. In addition to your regular binding tools (folder, ruler, craft knife etc. ), participants should also bring a digital or instant camera (Polaroid-style instant film is now available from Harman Technologies. There is limited film processing in the Gatlinburg area but participants may choose to use 35mm and have it one-hour-processed at the local drug store.) Though not mandatory, a laptop with photo-editing software will be helpful. All classes run from 9 a.m. to noon and 2 p.m. to 5 p.m. Studios are open from 8 a.m. to 11 p.m.
All workshops are limited to 10 participants. Enroll early to guarantee your place in the workshop of your choice.